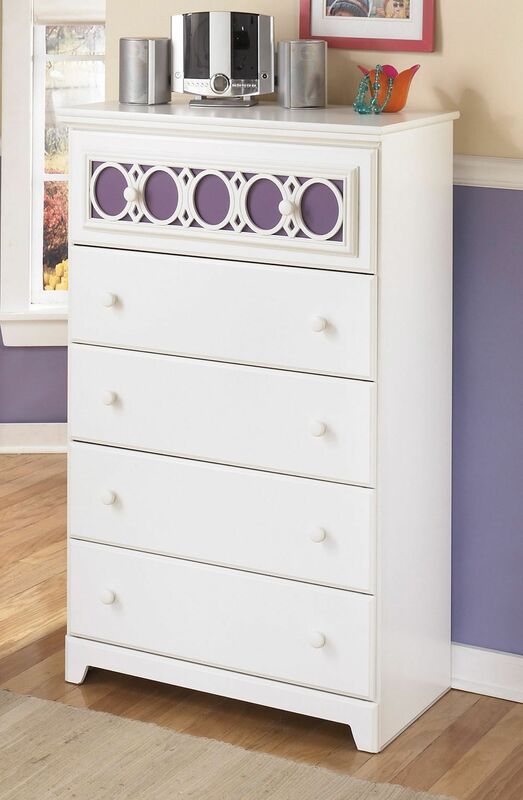 With a bright white paint finish flowing cleanly over the decorative egg and dart lattice accents, the Zayley youth bedroom chest offers an exciting contemporary design that features the versatility of nine interchangeable color panels to add you own personal flair to the bedroom décor. Try one of the included colors, or use the included clear panel to create your own design or to set with pictures of your friends and family! The Zayley youth bedroom chest offers an exciting contemporary design.